Are you looking for some photography poses ideas for the groom? As a wedding photographer, you should come to the shoot prepared with some poses and shot ideas in mind so you don’t miss those special moments. In this article, we will share 9 top wedding photography pose ideas for the groom. 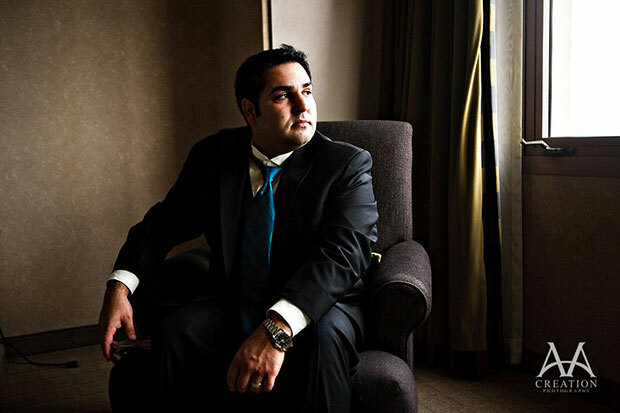 Your photography session may start when the groom is getting ready. Go into the room and capture both close & wider shots for variety. To keep it natural, let the groom just do his thing, and use the natural light instead of a flash so you don’t disturb or distract him. 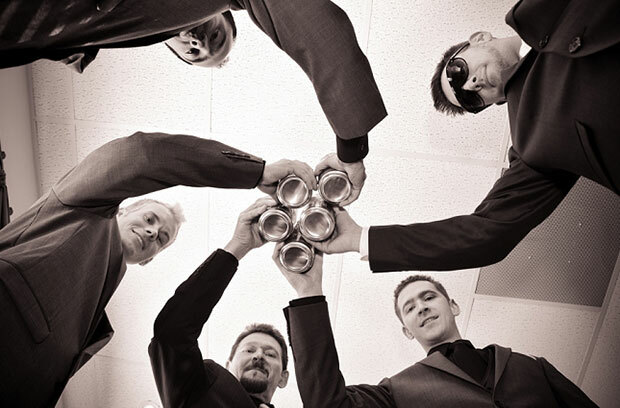 Make sure to get some playful, fun shots of the groom and his groomsmen. 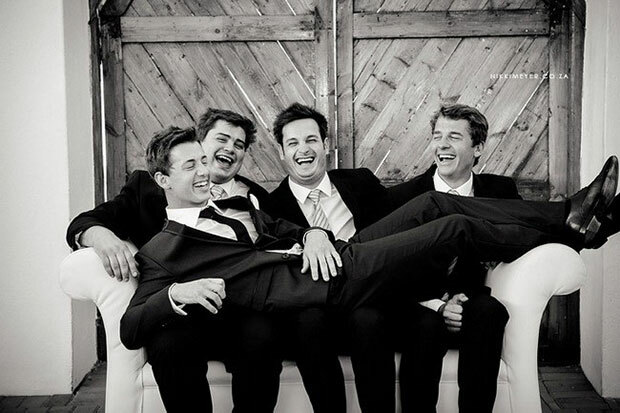 Encourage the groomsmen to get silly, tease the groom, or even set up a ridiculous pose like this one of the groom lying on the groomsmen’s laps… anything to get a laugh out of them! Your groom may be nervous on his big day, but a swig of beer or wine with friends can do wonders to ease those nerves so he’s more relaxed (and easier to shoot). Plus, it makes for a great, memorable photo! 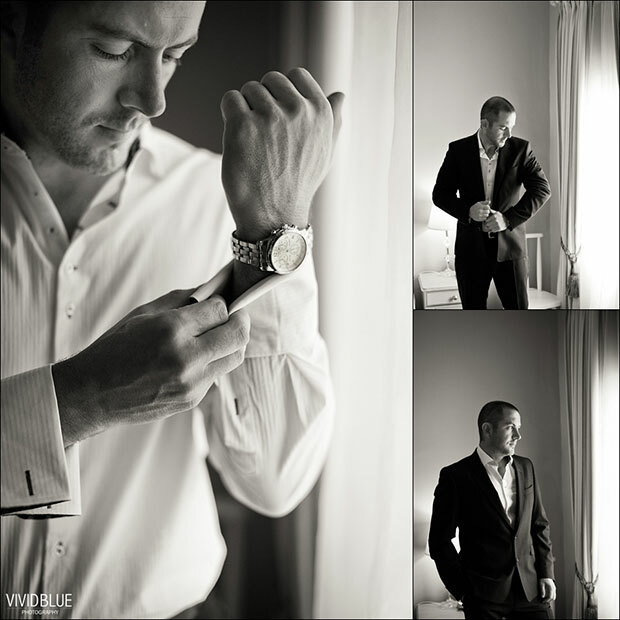 Let the groomsmen have a look at the groom and help him suit up to perfection. This is the perfect chance for you to capture a natural smile and conversation. 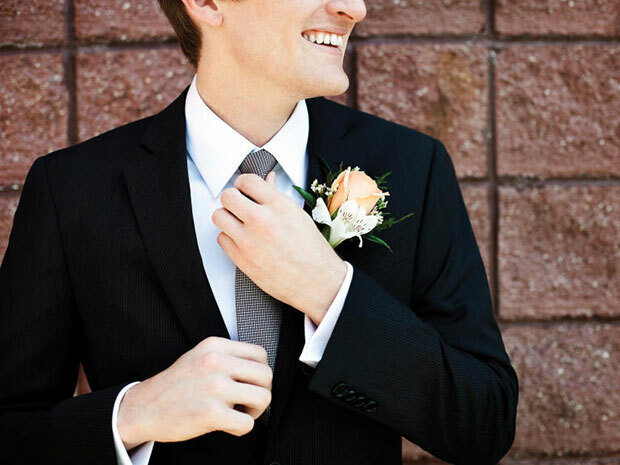 When the groom is all suited up, pay attention to the small details of his outfit. For a pop of color, put a rose in his pocket. These tiny details make beautiful shots. At just a few minutes before go-time, your groom is likely experiencing all kinds of emotions… anxiousness, excitement, curiosity… don’t forget to capture that emotion. Here comes the final call, and excitement fills the air! 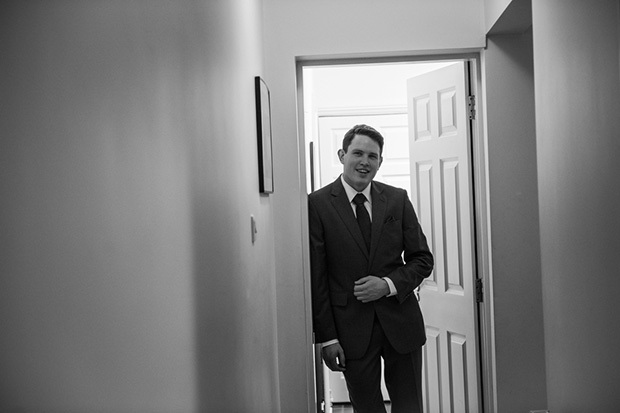 As the groom moves out of his dressing room to the ceremony, get a shot in the doorway. 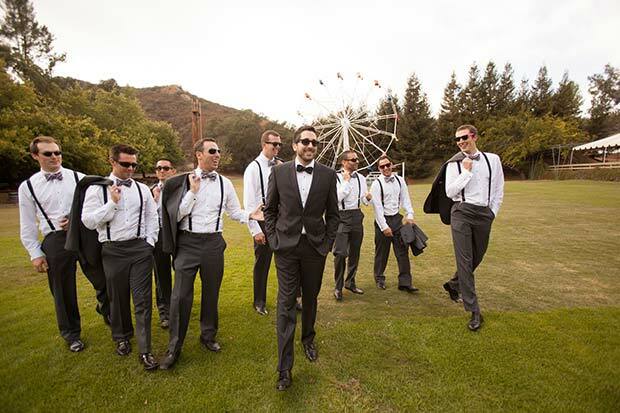 Remind the groom and the groomsmen that this is his final walk as a bachelor, and to have fun with it! For example, the groomsmen could walk behind with their jackets over their shoulders while cracking jokes with the groom. 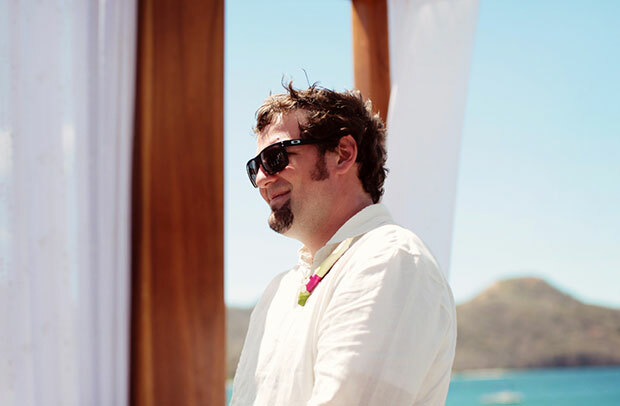 One of the most romantic shots is one that captures the way the groom looks at his bride. Don’t miss the moment he first sees her walking down the aisle towards him… it’s a moment the couple will treasure forever. That’s it! Now that you know the best wedding photography poses for the groom, you may also want to check out 15 unique & essential wedding photography pose ideas for couples. We hope this article has helped you to find the top wedding photography poses for the groom. For more wedding photography tips, check out our other article on how to take wedding photos.